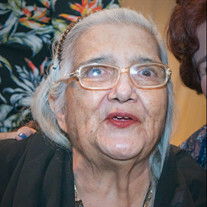 You have the opportunity to upgrade Claudina's obituary to a memorial website. You’ll be able to share photos, videos, family trees and much more. Share your memories of Claudina online forever by sponsoring this memorial website. The family of Claudina Casarez Cansino created this Life Tributes page to make it easy to share your memories. Send flowers to the Cansino's family.